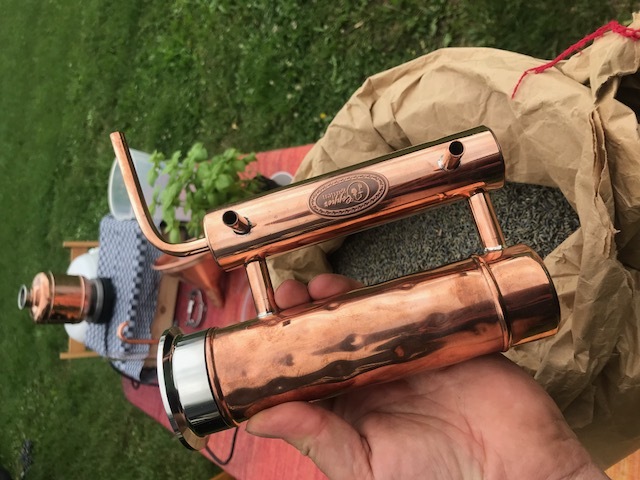 New 2018 design! 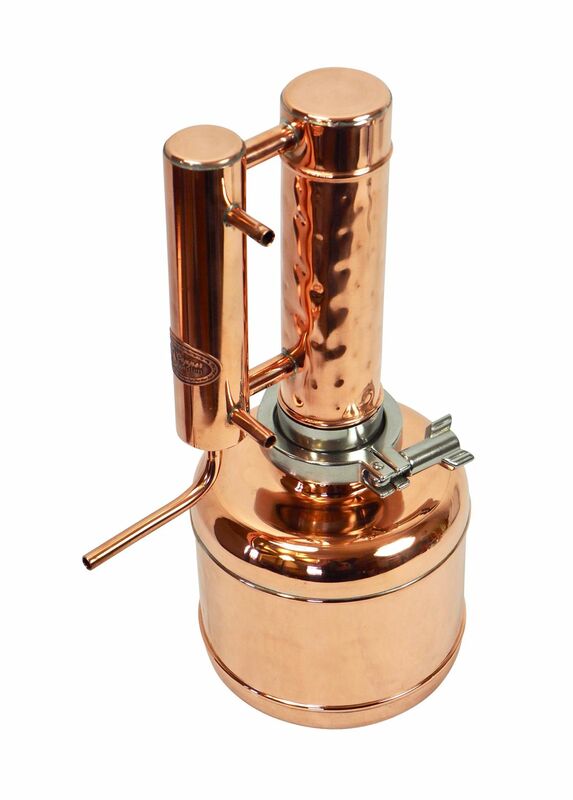 Easy "Moonshine" distilling apparatus 2.0 L from the CopperGarden® forge, for downright uncomplicated distilling! 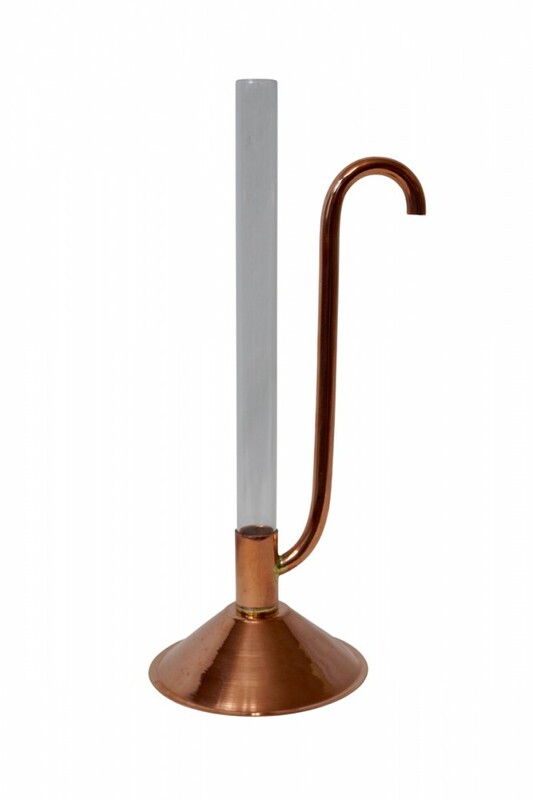 An ingenious and easy-to-use still. 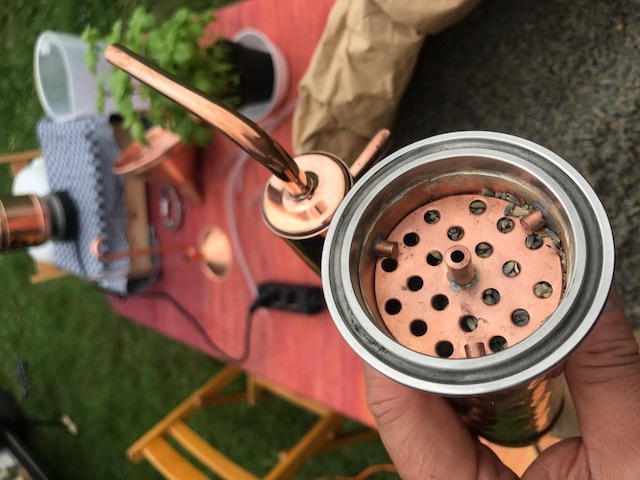 Our latest creation leaves no room for mistakes. 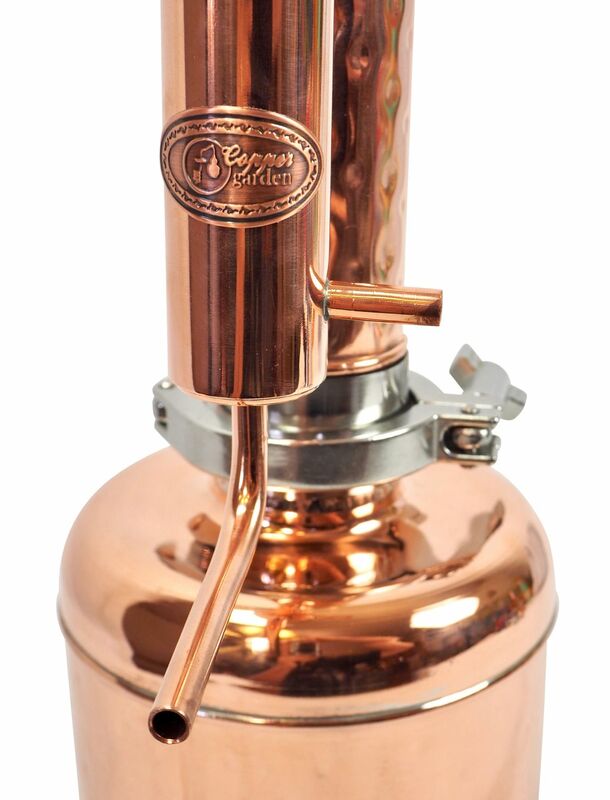 This fascinating modern “steam punk” design distillation still is not only a beautiful object to decorate your shelves, but also a fully functional distillation apparatus. 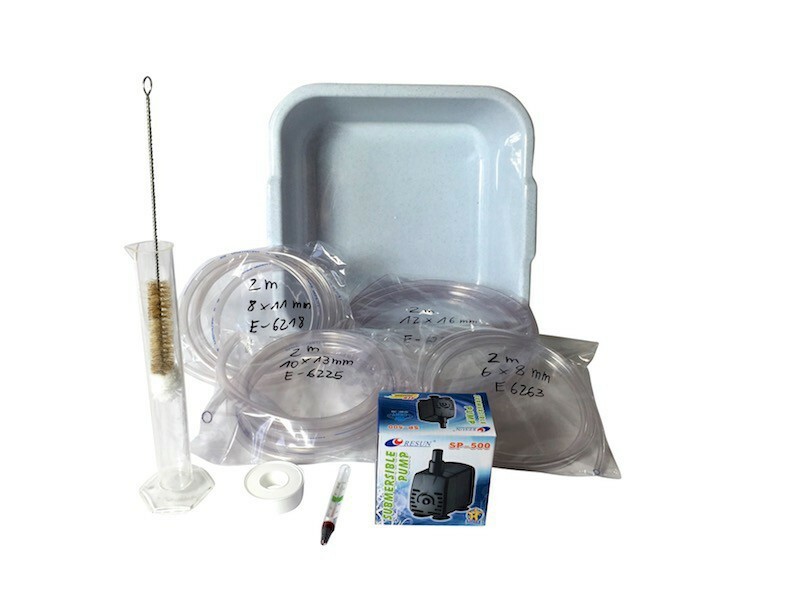 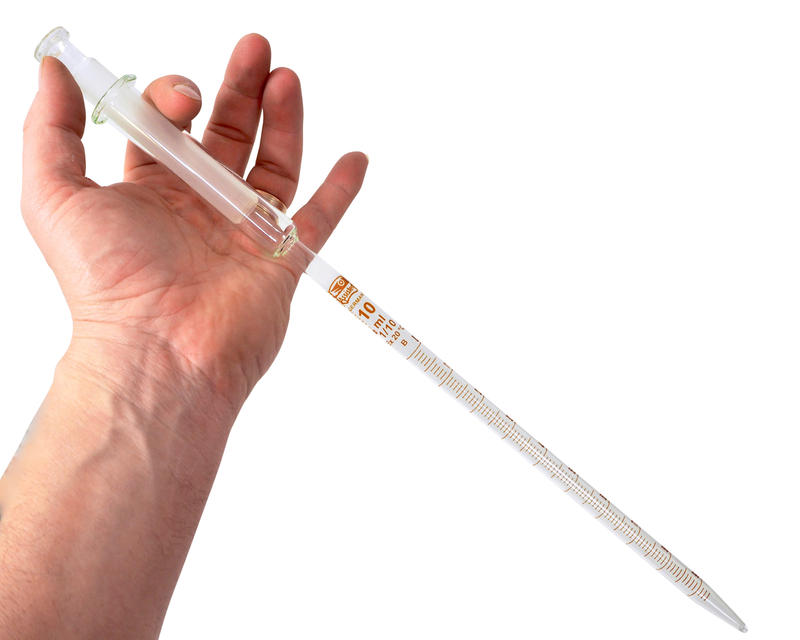 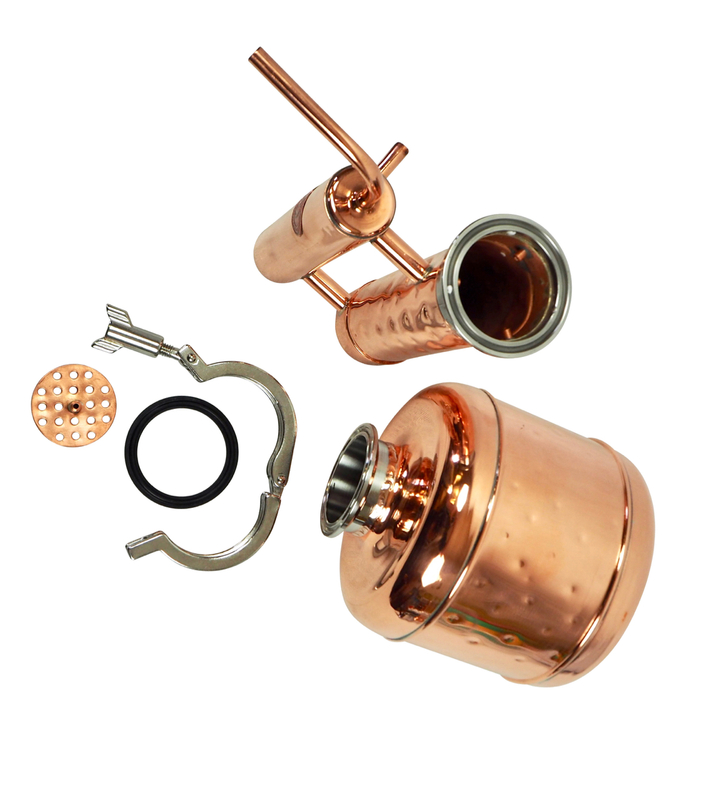 Its compact and simplified distillation system makes it small and easy to store. 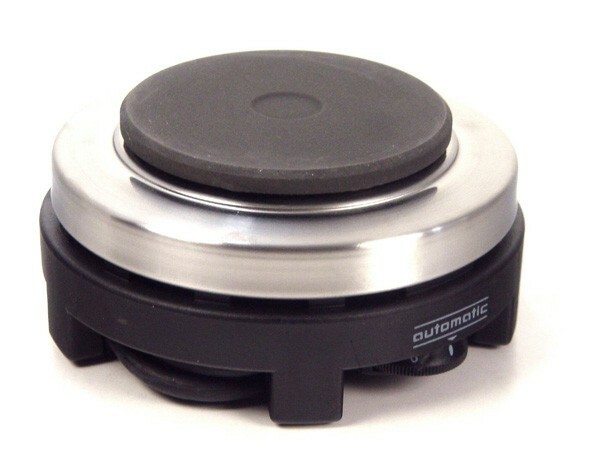 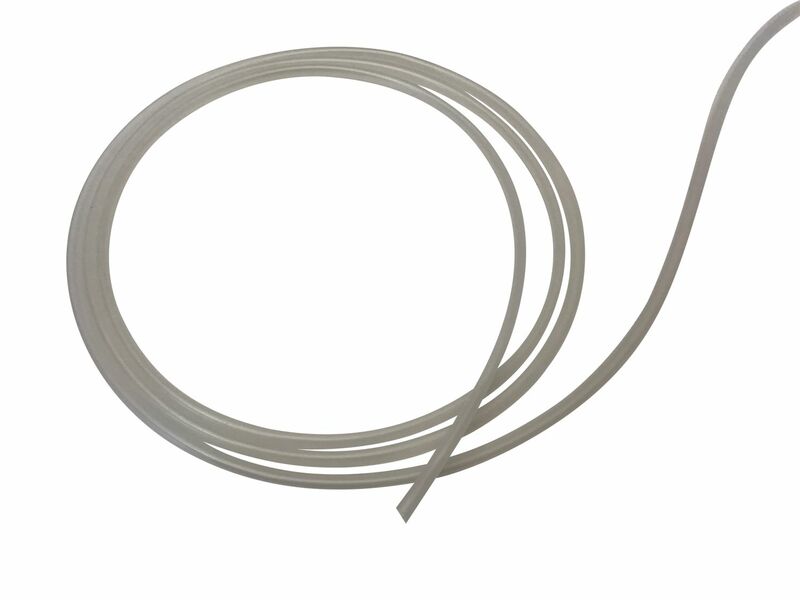 To use it, simply place it, preferably on a cooking hob, plug in the cold water inlet and heat the hob. 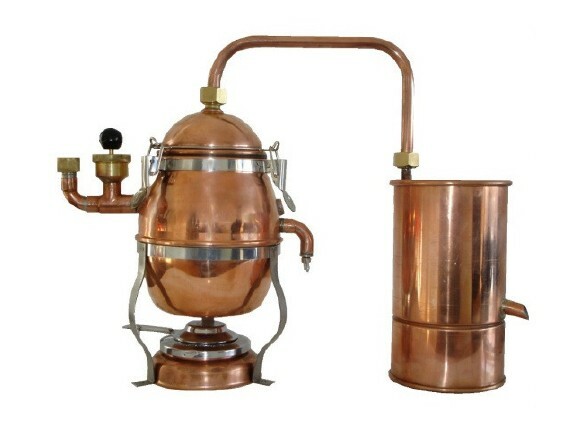 After a short while, you’ll obtain your home-made distilled beer (whiskey) or Brandy. 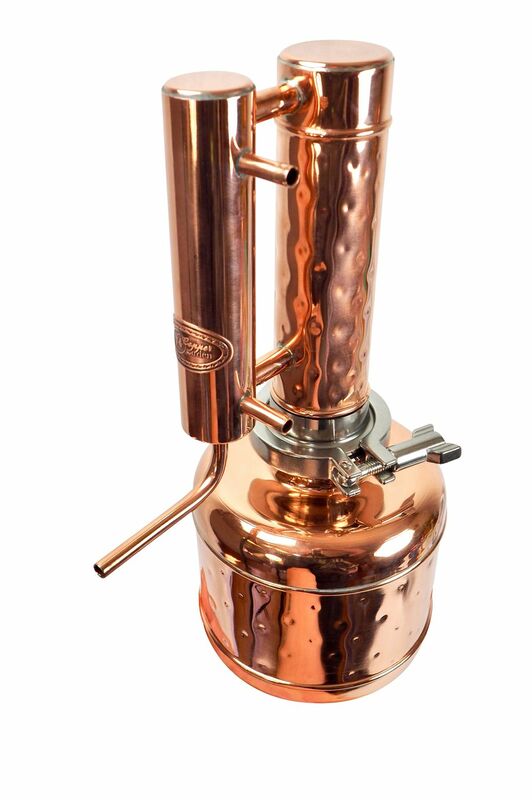 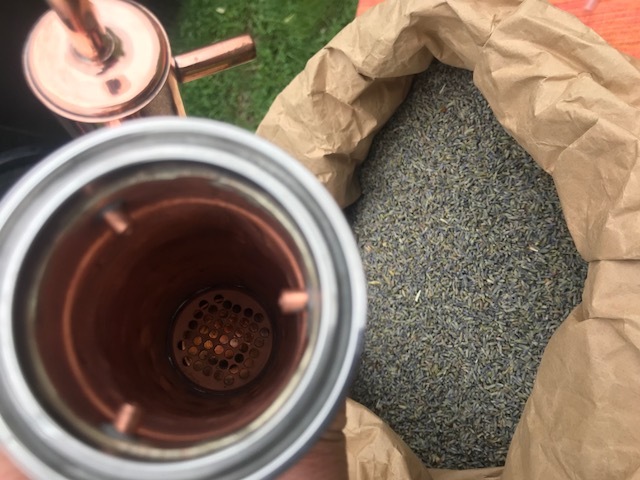 The new, integrated sieve allows for a distillation of spirits, essential oils and hydrosols. 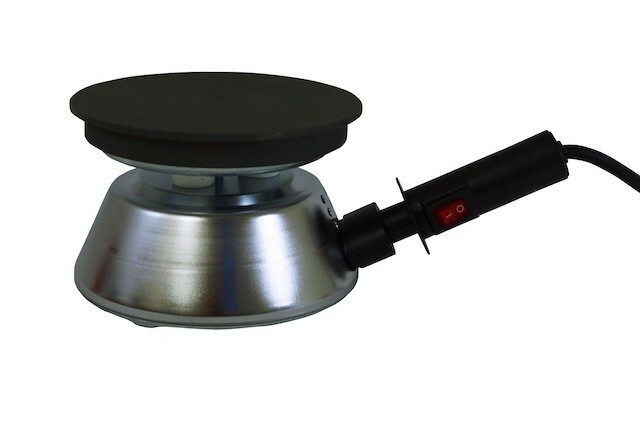 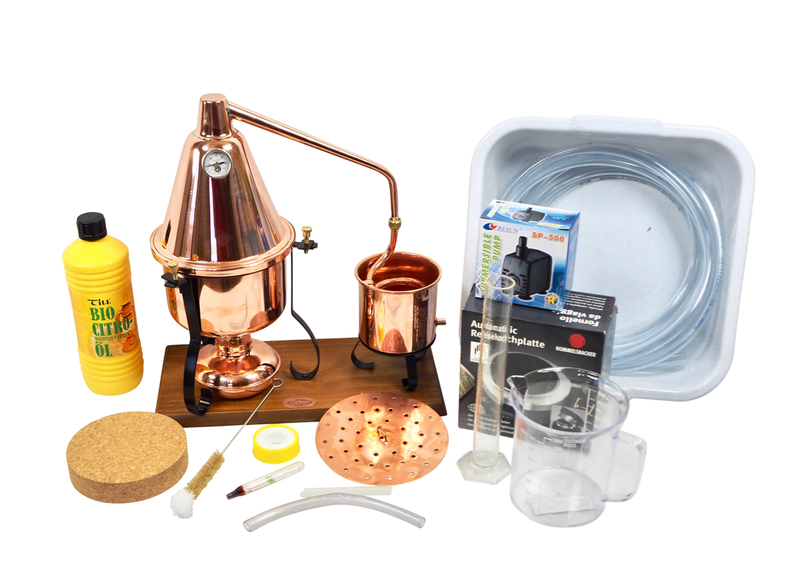 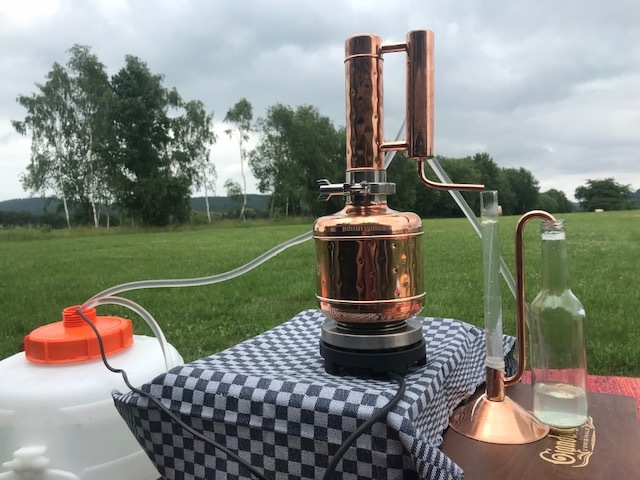 Due to its flat base, the "Moonshine" still can be used on a small electric plate, which we recommend as an accessory, as well as the kit with a cooling pump and little funnel. 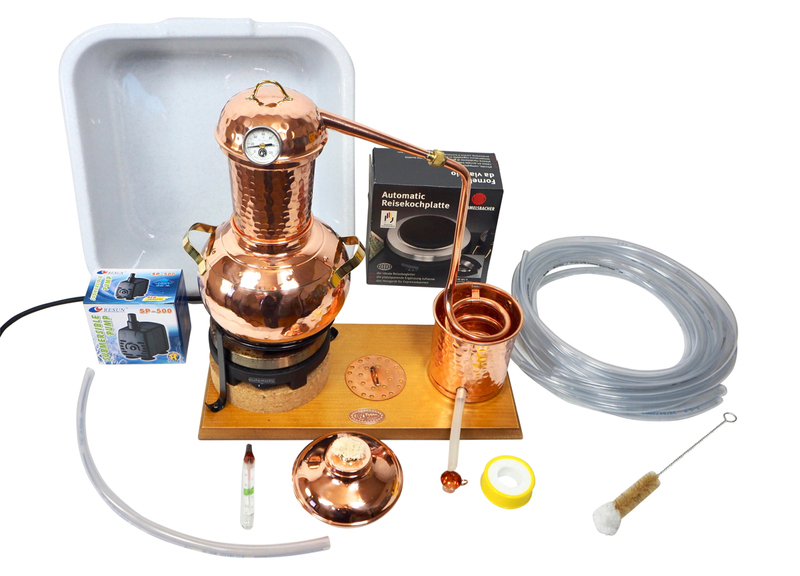 Unlike a lot of small stills, this still is very stable and the cooling system very simple to use, even for a beginner. 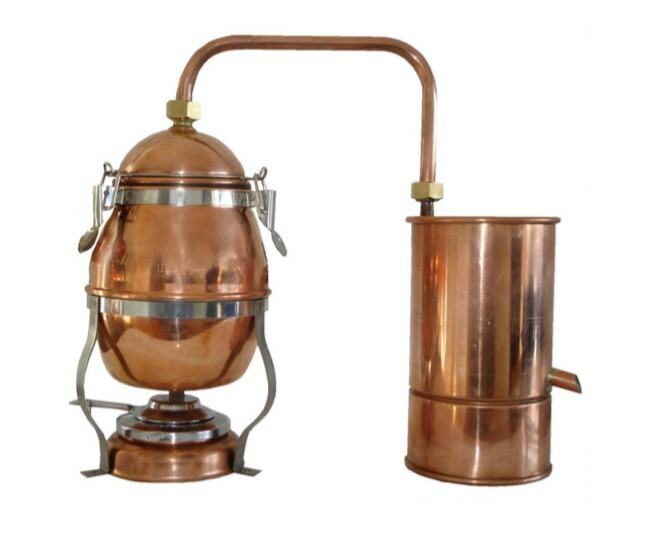 All the parts of this apparatus are made of copper in order to allow, as with professional usage, to extract the hydrogen sulphide which builds up in the alcohol. 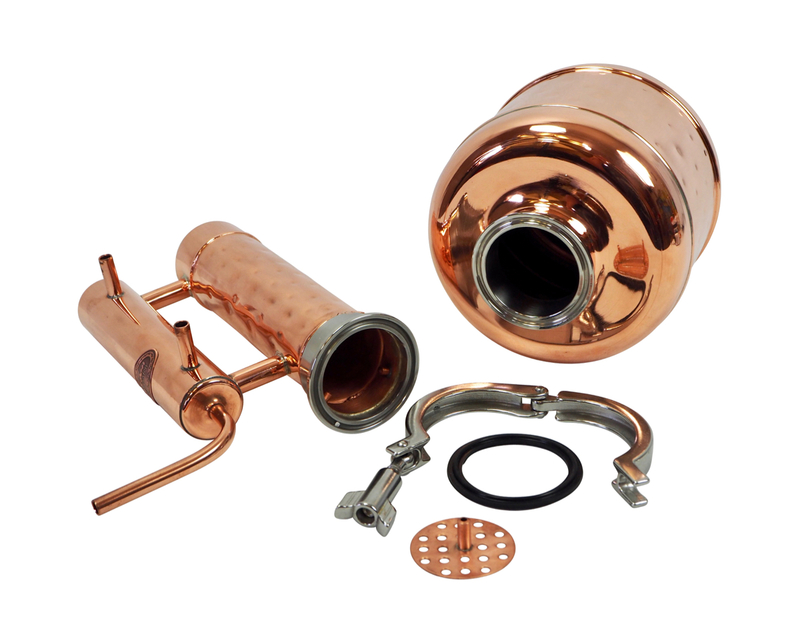 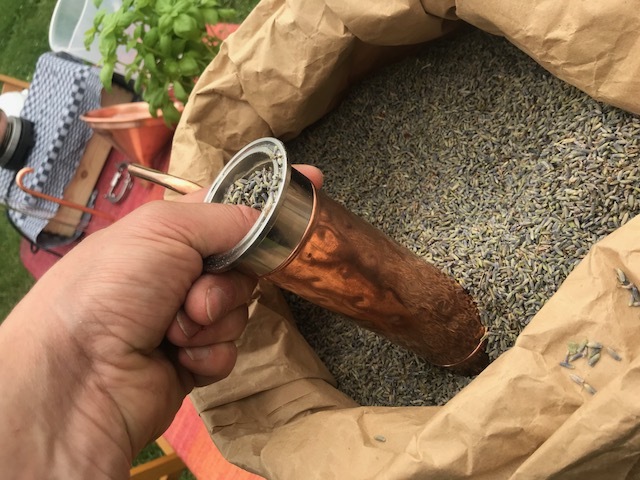 Copper works as a catalyser and will help smooth the taste of your booze. 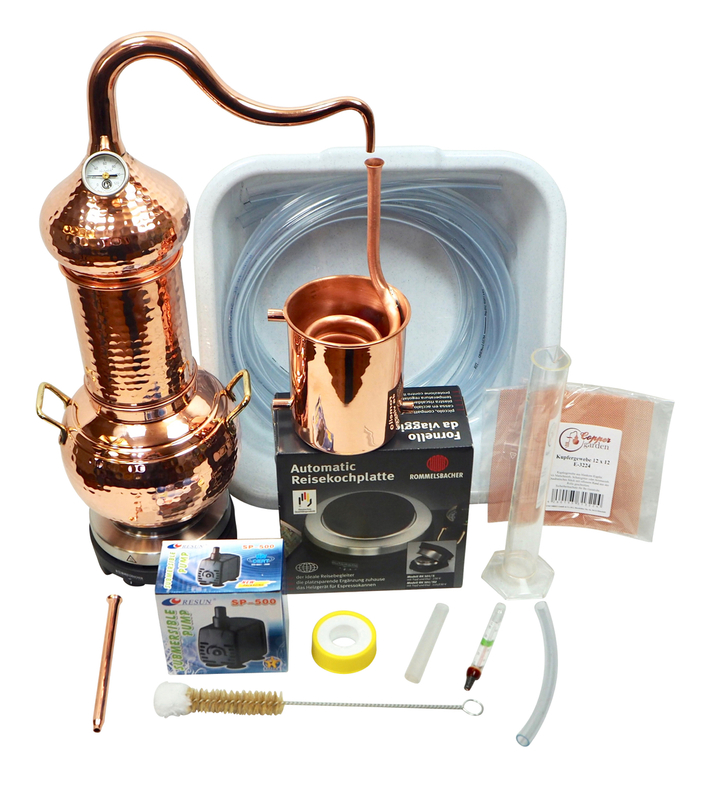 All the elements of this "Moonshiner Pot Still" have been carefully thought out in order to obtain high quality results.